Artlandish Gallery offers free shipping and insurance worldwide on all artworks found in our online gallery! That means you don’t pay any more from the smallest paintings to the largest masterpieces regardless of if delivery is just around the corner or on the other side of the world! In very rare circumstances this may not be possible but if that is the case the artwork will be clearly marked with the conditions. Delivery time and shipping method is dependent upon the size of the artwork. We use 3 carriers – Australia Post, Australian Air Express (StarTrack) and TNT Couriers. As we are in a remote location within Australia, delivery times range between 3 – 10 working days. We will email you once the artwork has been dispatched to inform you of shipping method and estimated delivery time. 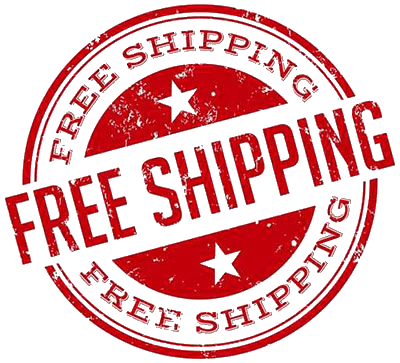 You are more than welcome to contact us via email or phone 08 9168 1881 and we can give you the information regarding shipping prior to ordering. Shipping method is dependent upon the size of the artwork. All items are dispatched via “Airmail” as we have found this to be the fastest international shipping method. 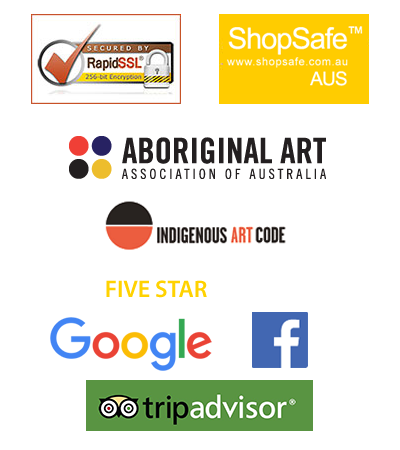 Depending on size, your ordered Aboriginal Artwork will be delivered by either Australia Post Air Mail or International Courier. International deliveries have a usual shipping time of 10 working days. Customs duties vary from country to country so please contact your local customs office to find out whether duties are payable. The delivery guidelines may vary slightly depending on shipping destination and the size of the item to be shipped. All items listed in the online gallery include free shipping and insurance unless stated otherwise. There are no additional shipping charges to be added to the purchase price. Please feel free to call us or e-mail if you have any questions or would like to arrange a special delivery.